Get your creative juices flowing with 3 quick and easy tips! 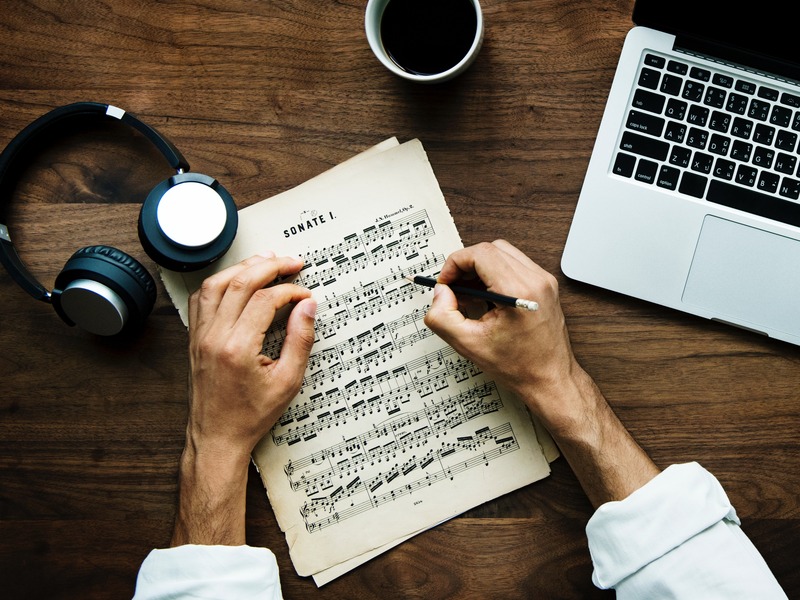 When it comes to arranging, having a completely empty score with no limits on what you are writing can actually be detrimental to your creativity. Why? Because your brain won’t know where on earth to start if you don’t set some boundaries first. Sometimes, you need to put walls in place in order to spark up the start of your writing process. So, limit yourself. Tell yourself what genre you are going to re-arrange your chosen piece in. Tell yourself what key you are going to compose your new arrangement in. Tell yourself that it can only be 64 bars (which is true if you are entering our Composing Competition… it CAN only be 64 bars!). Already, you have placed yourself into a nicely-sized box; not too big, not too cramped. I bet you can already feel your ideas flowing now that you have limits in place, right? This can be done on your own but can be twice as effective when done with someone else. Take part in a 30-45-minute brainstorming session. No negativity or criticism is allowed! On a blank piece of paper, write down the name of the piece you are arranging in the centre. Fill the page with every idea you have in terms of arranging the piece in front of you. Start with stylistic changes, then move on to rhythmic, melodic, harmonic, and key changes. Cover every single element of the piece. Perhaps you could change the time signature from 4/4 to 7/4. Write it down! Don’t critique it yet! By the end, you may have 100 bad ideas, but you’re also likely to have 4 or 5 incredible ideas that will make a big contribution to your final arrangement. Find more creative exercises like this one in our FREE eBook – The Ultimate Guide To Composing Your Own Piano Piece. Simply sign up to our newsletter here. If you are already signed up, simply email ellie.palmer@warnersgroup.co.uk requesting your free eBook, and we’ll send it right to your inbox. The cinema is one of the few remaining places we can visit that offers us the complete experience: surround-sound that rumbles through your stomach, the sweet (or salty) smell of popcorn, the huge screen, the darkness. It cuts you off from the outside world for 2 blissful hours. The best thing about the cinematic experience, for many, is the music. You can feel every single note as it reverberates around the theatre. Hearing the cinematic chord progressions, the tense crescendos and accelerandos, or the magically delicate pizzicatos in the string instruments completely engulfs you in the cinematic experience. Your mind will no doubt be spinning with ideas as you leave.